Tober Building Company (TBC) offers a variety of commercial construction services to a diverse range of clients. Regardless of your project’s scale or scope, TBC leverages the experience and knowledge of its expert team of construction professionals to deliver projects on-time, within budget and that meet your expectation of quality. Our team is experienced in project estimating, management, feasibility and finance. Leveraging this comprehensive experience and knowledge ensures that clients receive quality work, fair pricing and dedicated attention to their project. Our expertise is one of the reasons we are a top construction company in Northeast Ohio. Over the years, TBC has built relationships with the industry’s top craftsmen, suppliers and subcontractors, all of whom adhere to our high standards of quality. Utilizing a comprehensive planning system, we collaborate with clients at the beginning of each project to open lines of communication and establish clear guidelines for budget, schedule, etc. Contact us today to learn more about how we can provide the best commercial construction work for you. How did you hear about us? * Web Search Tradeshow Referral Previous Other How did you hear about us? Building owners and managers of affordable housing have a lot on their plate. Administrating the mounds paperwork that accompany federally funded construction projects is often not an option. TBC’s construction professionals have a wealth of experience in executing HUD, OHFA, LIHTC, Historical Tax Credits, etc. documentation is key to keeping projects in compliance and running smoothly. Let TBC shoulder the burden of construction and administration. Do contractors constantly need to be reminded of impending deadlines? Worse still, are they a disruptive force in the building—irritating your neighbors or clients? 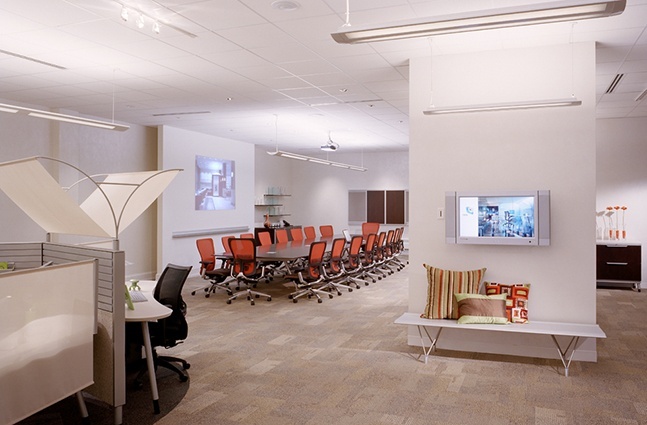 From modest office spaces to complex, high-dollar build-outs, TBC’s tenant improvement experience is unmatched. We have the experience and resources to quickly provide accurate square-foot pricing and value engineering opportunities, saving time and money. Further, when it comes to execution, few can match our ability to meet tight schedules, while performing with little or no impact to you or your tenants. Contact TBC for your next build-out or tenant improvement project. Do contractors constantly need to be reminded of impending deadlines? Worse still, are they a disruptive force in the building—irritating your neighbors or clients? From modest office spaces to complex, high-dollar build-outs, TBC’s tenant improvement experience is unmatched. We have the experience and resources to quickly provide accurate square-foot pricing and value engineering opportunities to save time and money. Further, when it comes to execution, few can match our ability to meet tight schedules, while performing with little or no impact on you or your tenants, without sacrificing quality.